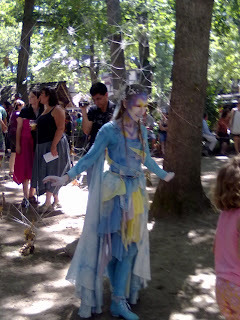 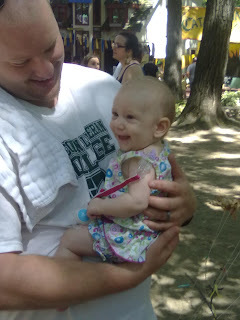 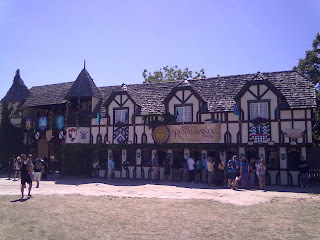 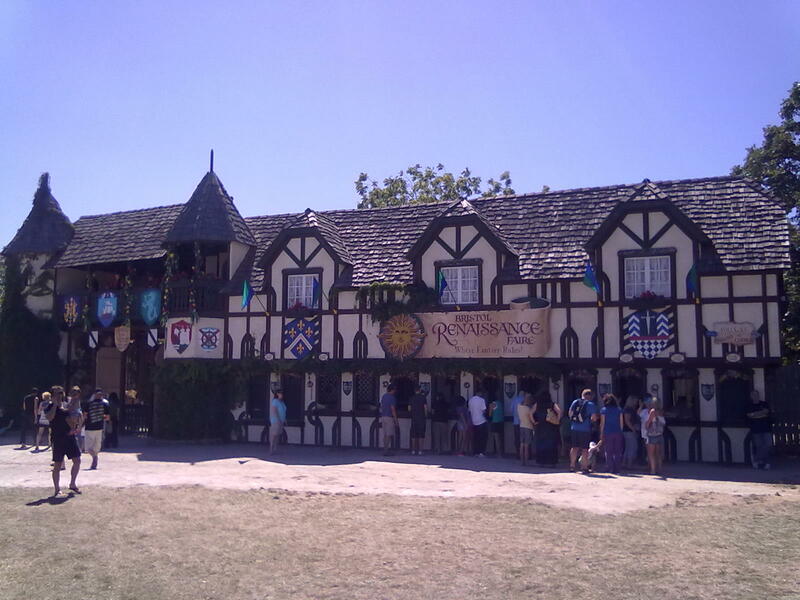 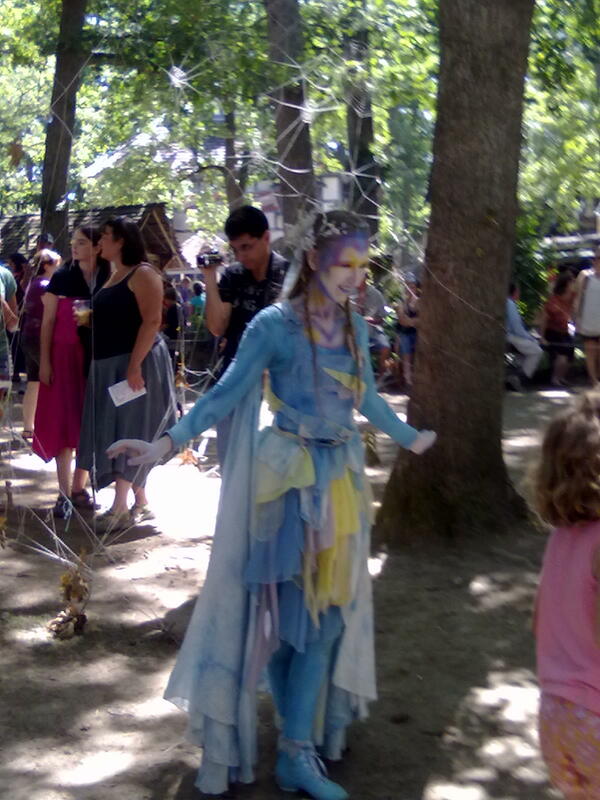 We Had SO Much Fun at the Bristol Renaissance Faire! The other day I told you how excited my son was to meet Mike the Knight at the Bristol Renaissance Faire! 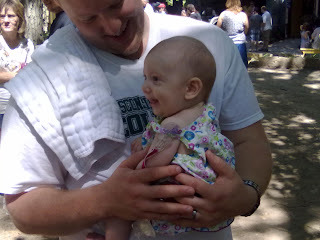 I am so excited to share some highlights and pictures of our visit! We had a blast! 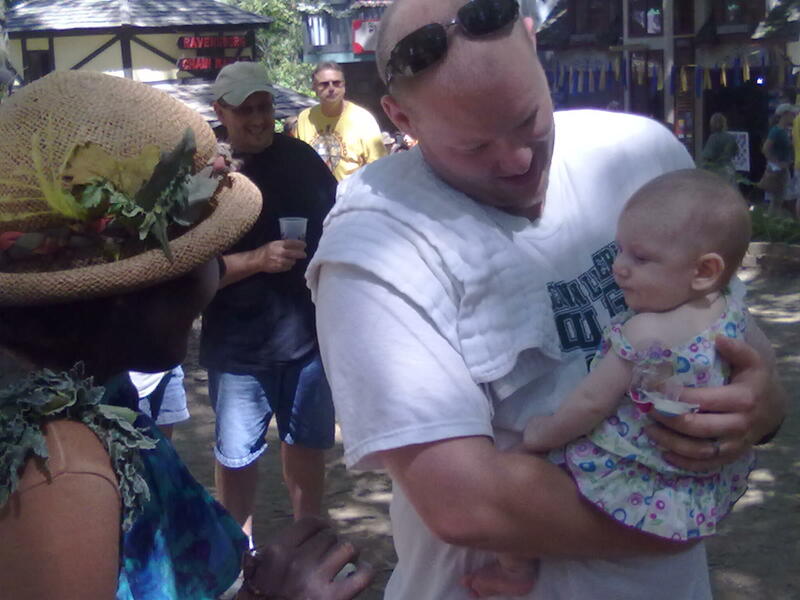 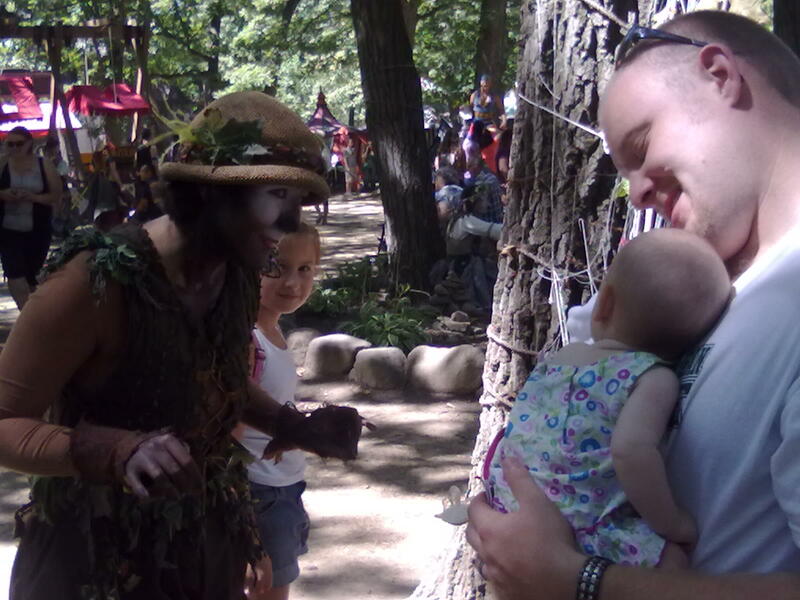 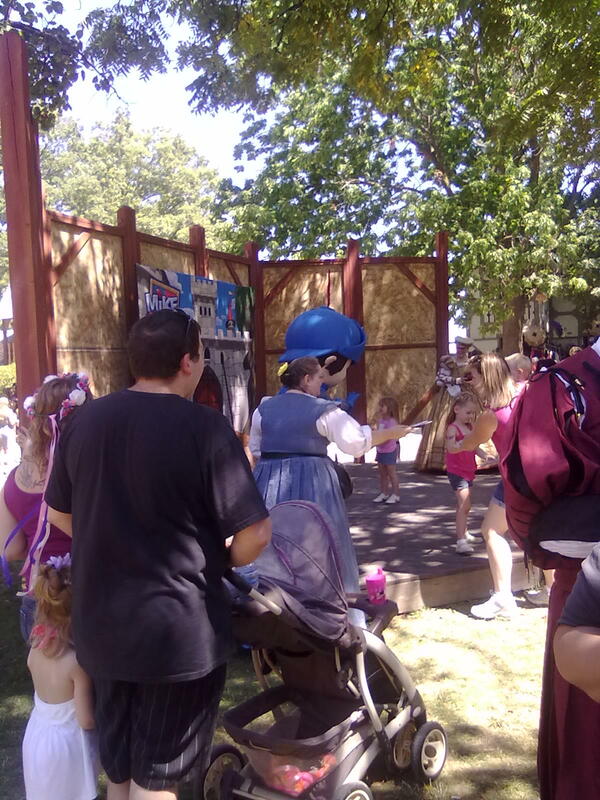 It was a beautiful, sunny day to head to the Bristol Renaissance Faire last Sunday to meet Mike the Knight! 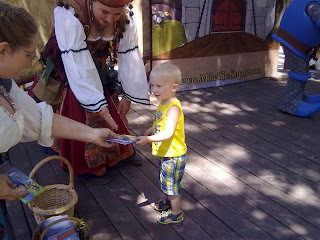 My son had been asking all week when we were going to meet the "cartoon guy"!!! He was so excited! 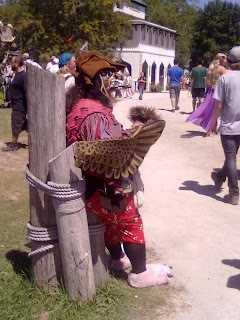 It was the first time he had ever been to the Renaissance Faire and I knew he was in for a treat! 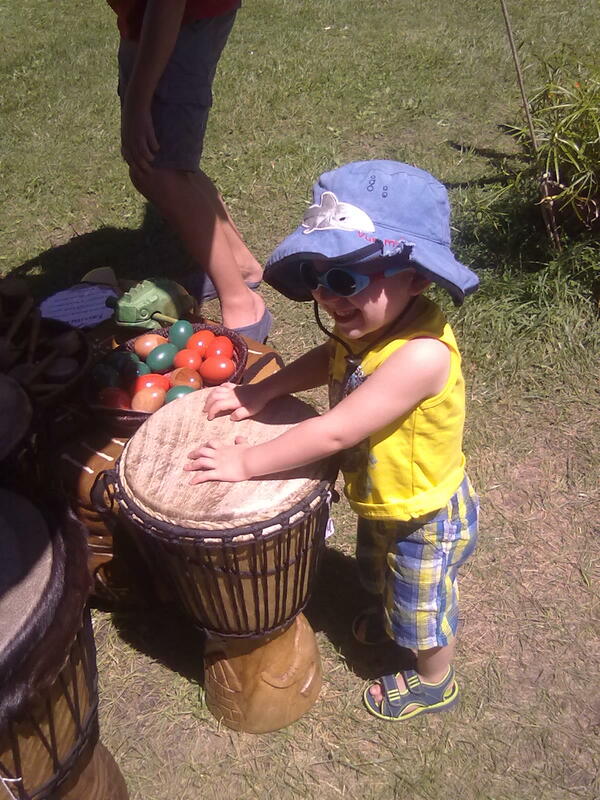 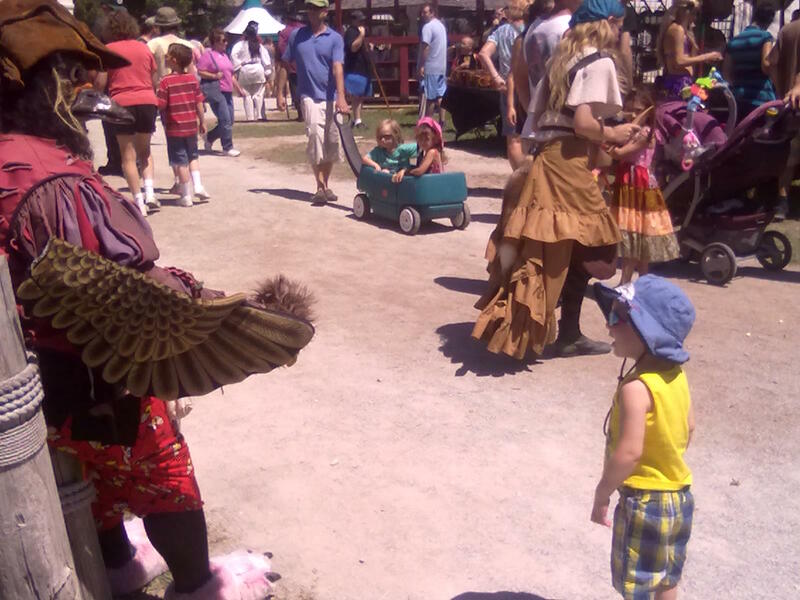 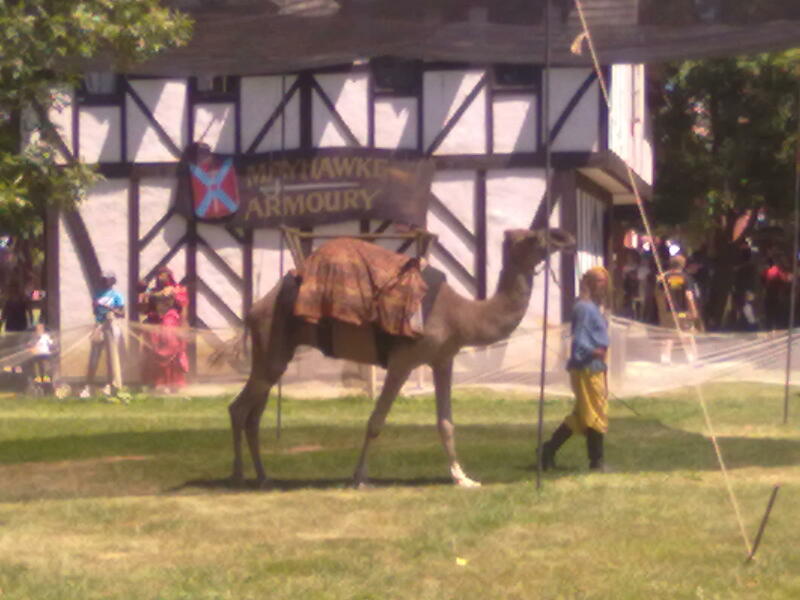 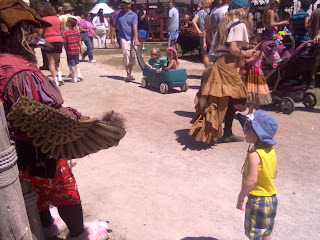 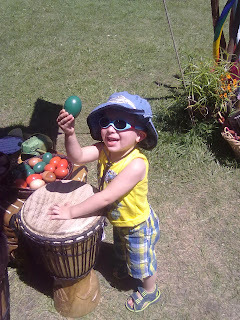 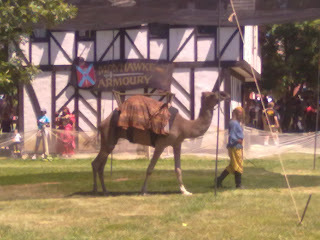 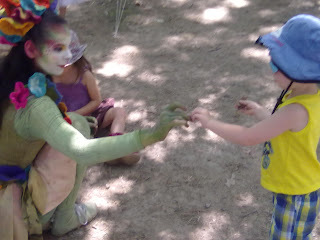 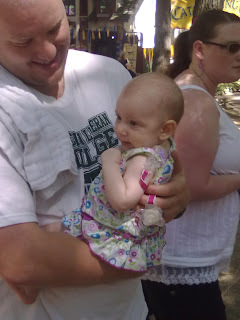 One of his favorite parts of the Renaissance Faire was the unexpected elephant and camel rides we came across! 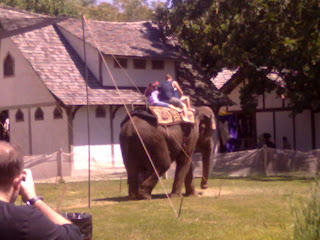 It was so cool to see this big elephant up close and people even got to ride him!! My son was so excited because he loves elephants but has never seen one up close! 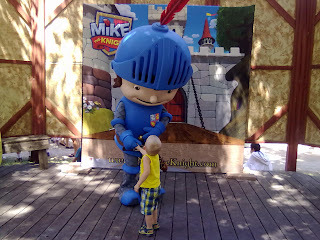 And then we came across what my son had been waiting for all week: Mike the Knight!! 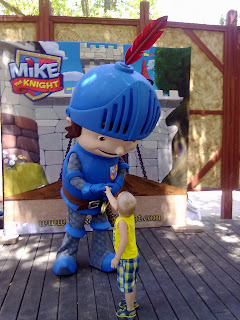 After waiting very patiently in line, he got to go give Mike the Knight a handshake, hug, and a smile! 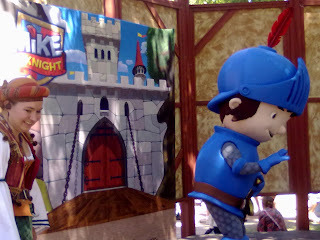 After meeting Mike the Knight, we walked around some more to see what other fun characters we could find...and OH, did we find some!! 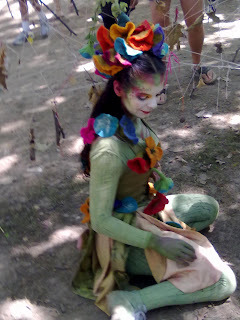 They sat around in the dirt and picked up sticks, leaves, and stones and would put them in children's hair, shoes, and hands! 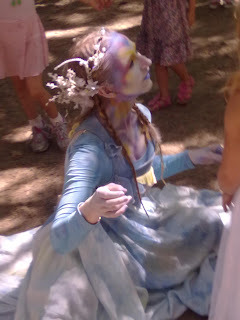 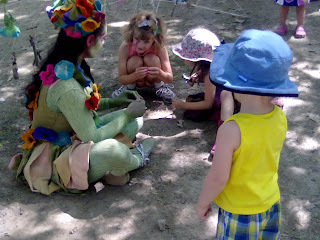 They did not speak but the children loved watching them! 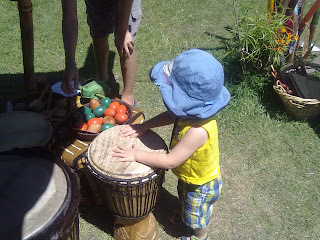 My son was enthralled!! 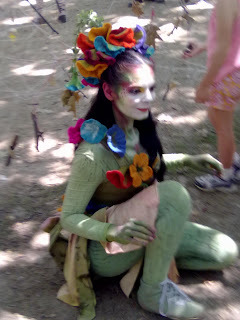 One of the forest ladies really LOVED my daughter and literally sat and made her laugh by making faces to her for over 15 minutes!! 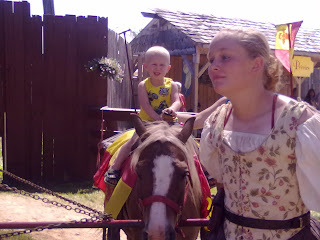 It was really cute and funny! We topped off our great day at the Bristol Renaissance Faire with a pony ride! 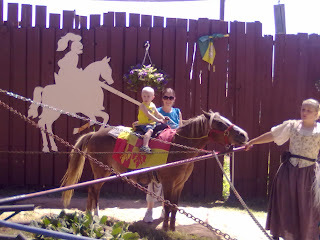 My son had never been on one but always wanted to so I was so excited to see how he would like it! 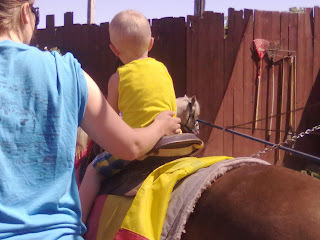 He was a little afraid, I think, but stayed on the whole time like a champ!! I am so glad we took the time to take the family to the Renaissance Faire this year. I think my son saw and experienced sights, sounds, and meeting Mike the Knight and he will never forget it!! If you want a chance for your children to meet Mike the Knight, you can catch Mike at the NY Renaissance Faire August 18 and 19. I highly recommend it for the whole family!